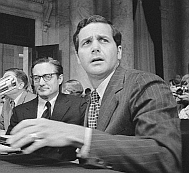 According to the FBI’s Watergate investigation, John Mitchell, the director of the Committee to Re-elect the President (CREEP), and his aide Jeb Stuart Magruder discuss the proposal made by G. Gordon Liddy to plant electronic surveillance devices on the phone of the chairman of the Democratic Party, Lawrence O’Brien (see March 20, 1971). 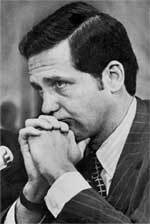 Magruder telephones President Nixon’s chief of staff, H. R. Haldeman, and Haldeman confirms that Nixon wants the operation carried out. [Spartacus Schoolnet, 8/2007] On March 30, in a meeting held in Key Biscayne, Florida, Mitchell, the former Attorney General (see March 1, 1972), approves the plan and its budget of approximately $250,000. [O.T. Jacobson, 7/5/1974 ] Other sources list this decision as coming almost a year earlier (see March 20, 1971). In this case, the FBI timeline is almost certainly in error, since the “Plumbers” break-in of the offices of Daniel Ellsberg’s psychiatrist came well before this date (see Late June-July 1971 and September 9, 1971). Sally Harmony - One thing they do find out is the level of knowledge possessed by Sally Harmony, G. Gordon Liddy’s secretary at CREEP. Harmony had not been truthful or forthcoming in her recent testimony before the FBI and the grand jury investigating the Watergate break-in (see 2:30 a.m.June 17, 1972). This ties in with another Post reporter’s tip to Bernstein that Harmony lied to protect both her boss and CREEP deputy director Jeb Magruder. A Justice Department attorney confirms the fact that prosecutors believe Harmony was not truthful in her testimony, but they lack the evidence to charge her with perjury. Destruction of Records - Some CREEP employees guardedly tell Bernstein and Woodward about large-scale destruction of records in the days after the Watergate burglary, but they know no specifics. Those who would know were interviewed by FBI investigators, but were interviewed at CREEP headquarters, in the presence of either a CREEP lawyer or Robert Mardian, the political coordinator of the committee and a former assistant attorney general. According to the employees Bernstein and Woodward interview, Mardian never directly told anyone to lie, but told them not to volunteer anything and evade whenever possible. Prosecutors had asked employees if they knew of other surveillance operations besides the one at Democratic headquarters. 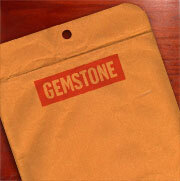 FBI officials had asked about documents being shredded. 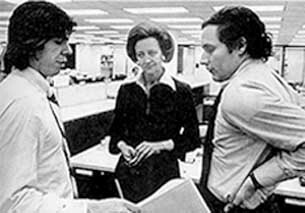 Washington Post reporter Carl Bernstein manages to land a meeting with a low-level employee of the Committee to Re-elect the President (CREEP); like the other employees he and his colleague Bob Woodward have interviewed, she is frightened (see August, 1972), but more willing to speak out. Names Named - As Bernstein walks her back to her office—again, to avoid the appearance of trying to hide her contact with the press—she adds: “Okay, I’ll tell you, but it won’t do any good. And don’t ever call me, or come to see me or ask any questions about how I know. LaRue, Porter, and Magruder. They all knew about the bugging, or at least lied to the grand jury about what they know. And Mitchell. But Mitchell is mostly speculation. Take my word on the other three. I know.” Frederick LaRue, Bart Porter, Jeb Magruder, and John Mitchell are all former White House officials who moved over to work for CREEP. 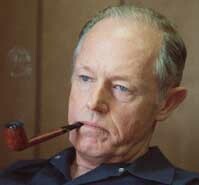 E. Howard Hunt. 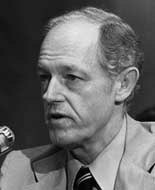 [Source: Michael Brennan / Corbis]Convicted Watergate burglar and former CIA operative E. Howard Hunt (see 2:30 a.m.June 17, 1972) denies that his requests for money from the Nixon White House ever amounted to blackmail or “hush money” (see Mid-November, 1972 and January 8-9, 1973). Writing in Harper’s magazine, Hunt says his situation was comparable to a CIA agent caught and incarcerated in a foreign country. Those agents, he says, are entitled to expect that the government will financially support their families and continue to pay their salaries until the agents are released. Conflict with Other Versions of Events - Hunt’s reconstruction of events directly clashes with others’ recollections and interpretations, as well as the facts themselves (see June 20-21, 1972, June 26-29, 1972, June 29, 1972, July 7, 1972, July 25, 1972, August 29, 1972, December 8, 1972, January 10, 1973, January 10, 1973, March 13, 1973, March 21, 1973, March 21, 1973, and July 5, 1974). In his Watergate interview with former President Richard Nixon (see Early 1976 and April 13-15, 1977), David Frost continues from his earlier questioning about Nixon’s involvement in the Watergate conspiracy (see April 13, 1977) to the events of March 21, 1973 (see March 21, 1973). Now that Nixon’s status as a co-conspirator from the outset has been established, Frost wants to know why Nixon claims not to have known about the illegal aspects of the cover-up, or about the blackmail demands of Watergate burglar E. Howard Hunt, until this date. Nixon is cautious, claiming only that he learned of Hunt’s blackmail demands on March 21, and refusing to acknowledge that he knew anything about the $400,000 in payouts during the eight months preceding (see June 20-21, 1972). Error Goes Unnoticed - Only later do Reston and other research team members realize that no such stories had appeared in the media by February 14; in fact, allegations of a cover-up never made it into print until after burglar James McCord wrote his letter to Judge John Sirica on March 19 warning the judge of involvement of “higher-ups” in a conspiracy of silence (see March 19-23, 1973). No one had written publicly of any executive clemency deals until the subject was broached during the Senate Watergate investigative hearings (see February 7, 1973). But few of the millions who will see the interview will have the grasp of the chronology of events necessary to realize the extent of Nixon’s dishonesty.